You may recall when Apple unveiled the iPhone 6 back in September and they used this rather amazing looking MOBA game to show off it hardware and software optimizations? 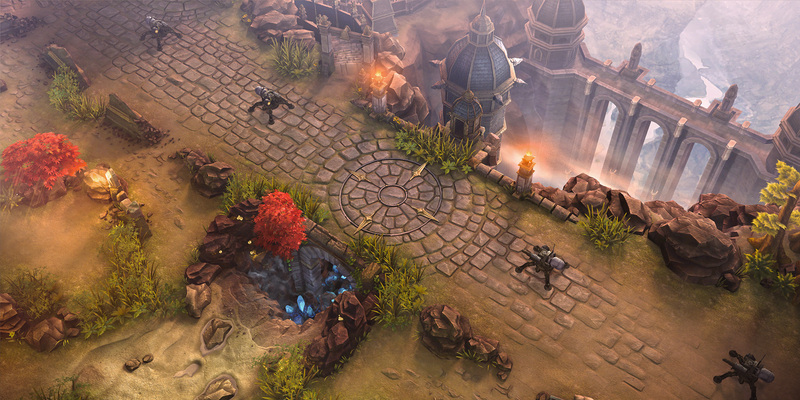 Well, that game—which was and still is called Vainglory—is finally available as a free download. Vainglory features fast-paced, 20-minute online multiplayer matches in which players across the globe battle it out in teams of three. Players become powerful heroes, each with their own lore and special abilities. More features and content are added to the game on an ongoing basis. Players experience intuitive, precision controls that effectively translate — and in some cases even improve — how MOBAs are traditionally played on PC. For more information on Vainglory, visit www.vainglorygame.com.